Revolutionaries, Rebels, Privateers, Pirates; all of these words have been used to describe a group of men who wanted to make Nova Scotia part of the United States of America. If you have read the section in this presentation on German Settlements you will know that most of the settlers in Albert County who arrived around 1765 were from the New England Colonies. When the American Revolution began in 1775, many of these settlers sought to have Nova Scotia become part of the United States. This rebellion was led by Colonel Jonathan Eddy, who was born in New England, and three other members of the House of Assembly in Nova Scotia, the Governing body of the day. The rebels used Governor Legge's order to form a militia to defend Nova Scotia, and possibly send that militia to fight in the American Colonies, as a rallying cry against the British. Most settlers did not want to take up arms against their American brothers. The group soon decided that they wanted to stage a rebellion, take over Nova Scotia and make it the fourteenth colony. Colonel Eddy's plan was to first capture Fort Cumberland located at the head of the Bay of Fundy. With military and financial support from the American Government, Eddy set out from Maine with a group of twenty American rebels. They traveled up the Bay of Fundy in a small schooner and by the time they reached Shepody they had massed a force of 72 men. When the men arrived in Shepody they visited the home of Abiel Peck and forced him to guide them up the Petitcodiac river, although some people have speculated that Abiel was in fact sympathetic to the rebels. The rebels traveled up the river and easily captured the outpost at Shepody, across the river from Hopewell Cape. Eddy knew that word would soon arrive at Fort Cumberland about the attack so he sent his men to gather supplies and recruit more fighters from the neighbouring communities. Eddy next sent a number of men to capture a sloop loaded with provisions which was anchored at Cumberland Creek. The rebels surprised the men onboard and captured the ship without a shot. With his supplies replenished by these much needed provisions from the captured vessel, Eddy decided that it was now the right time to attack the fort. The commander of Fort Cumberland, Colonel Gorham, had learned of the invasion and had begun to prepare for the attack. On November 12th, 1776 Eddy and his men attacked, the plan called for an Indian man to sneak into the fort and open the main gate. However, the Indian man was spotted and had his arm slashed while trying to open the gates. Eddy and his men were soon forced to retreat. A few days later they attacked again and set several buildings on fire hoping to cause the gun powder magazine to explode. Apparently a traitor had told the English the details of this plan to blow up the gun powder magazine in advance of the second attack so the English had time to prepare. Before Eddy and his men could launch a third attack, an English warship with four hundred reinforcements arrived from Halifax. Col. Gorham used this opportunity to attack the rebels, and he successfully forced the rebels to retreat. 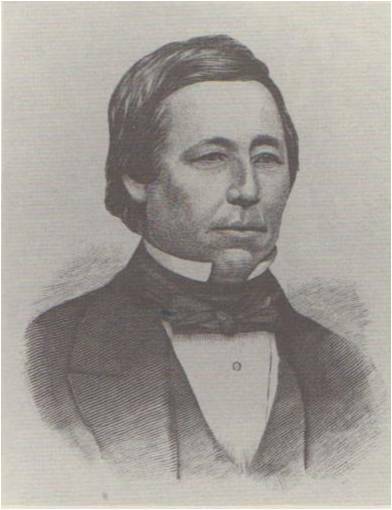 Col. Eddy and his men escaped to Maine and the efforts to make Nova Scotia part of the United States were put to an end. During the time of the Eddy Rebellion members of the rebellion looted and pillaged homes up and down the Bay of Fundy and the Petitcodiac River in Albert County. Although this activity became less frequent following the failure of the Rebellion, such raids did continue. William Black of Amherst, Nova Scotia, describes two such episodes in the November 22nd and 24th 1782 entries of his diary. They detained us from going up the river [to "Monckton"] for about two hours and a half, when the tide was so far spent that we could not go. This they did with the design to prevent us from informing the people of their coming. According to Steeves family tradition Abiel Peck of Hopewell Hill allowed the pirates to use his house as a base. This caused tensions between the two communities, to the point where few marriages between the two communities took place for the next few years. Looting and pillaging by the pirates had a tremendous impact on the lives of the residents of Albert County. During the time of the Rebellion several families fled to the safety of Fort Cumberland to avoid being raided by the pirates. At the same time vessels from both sides of the American Revolutionary War were engaged in Privateering (what we call Pirating). Indeed many ships were captured by both sides off the coast of Nova Scotia and in the Bay of Fundy below Saint John.